Nothing like chilly autumn weekends to hibernate inside a warm house, filing records. My shelves are freaking me out, they’re jammed, and there’s hundreds of singles in white boxes awaiting a slot. 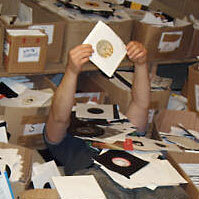 So, much of Saturday was spent removing a ton of records I almost couldn’t believe I owned. Some acts with like ten singles deep, sitting wasting space. Mind you, nothing really gets eliminated, just moved to the backup library or officially into storage. Mostly 80′s and 90′s rock titles I hadn’t listened to even as they were being filed, like R.E.M., The Cult, Everything But The Girl. Seriously, hundreds and hundreds more. Years ago I created a hip hop 7″ section. We’re talking the early days, given the confusion I anticipated organizing DJ this or MC that. As with some other random sections: jazz, reggae, world, acid house, I found I quite liked the setup, made it easy to scan for a song when the genre bug has bitten. Mind you, this requires a second copy of everything: one for the genre section and one for the main library. 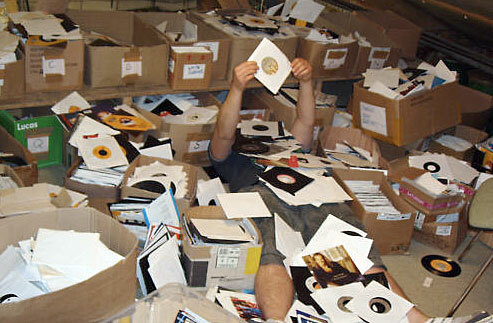 In the heyday of 80′s/90′s record business, everyone was only too happy to unload 7″ singles my way. Nobody wanted them, a result of the 12″ or CD taking preference. As with some of the aforementioned genres, hip hop 7″ singles looked almost odd, like they weren’t really meant to exist in that particular size. Now of course, they’ve become quite scarce, and I guarantee their values will continue to rise as a result. They’re fast becoming my new obsession so needless to say, I ended up log jamming through them, pulling out more to play than I was putting away. As with yesterday’s post, and probably tomorrow’s, I’m on a roll. Even the most mainstream hits look and sound great on a 7. Hip hop pressed in the UK is even more perverse. They might be my favorites of them all. ‘It Takes Two’ got slammed with sampling issues early, like a bunch of other records at the time. 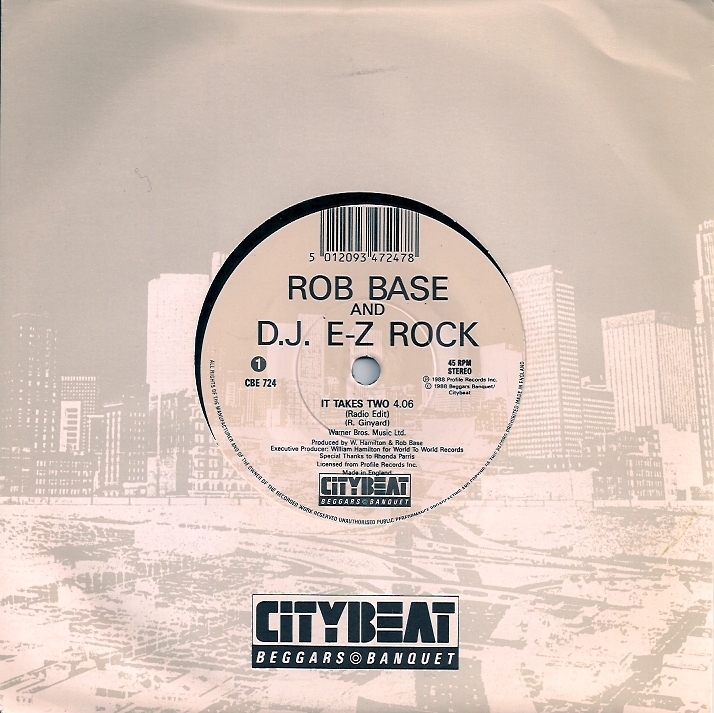 In the case of Rob Base and DJ E-Z Rock’s biggest hit, the single used James Brown and Lyn Collins’ ‘Think (About It)’ without clearance. Combine that with other unauthorized snippets, especially a Frankie Beverly & Maze sample, and the IT TAKES TWO album, despite selling millions, hit financial disaster. The calamity was the talk of the industry, which of course likes to talk so who knows, but the mess seemed to throw cold water onto their career. One last bit. 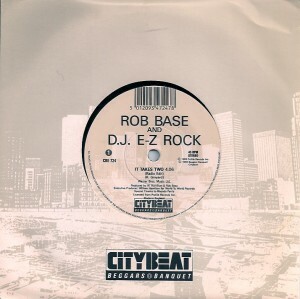 Many of the hip hop 7′s provide the only access to each song’s radio edit, and out of laziness, the labels carelessly assigned the instrumental version or some throwaway remix onto the B side, making them even more collectable.